Is This The Shortlist Of Actors To Play Spider-Man? As we all know, Spider-Man will be swinging into the Marvel Cinematic Universe with next years Captain America: Civil War, so with little over a year to go, the hunt is on for a new actor to pull on the iconic red and blue suit. 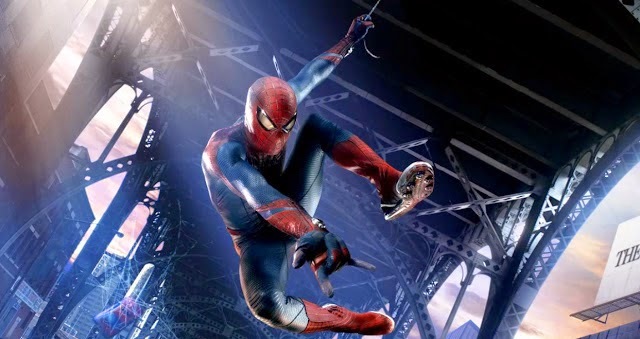 Marvel Studios president Kevin Feige has previously said that the Peter Parker this time round will be a lot younger than previous incarnations, with this new take keeping the character in high-school, and now The Wrap reportedly have gotten their hands on a possible short list, consisting of Natt Wolf (The Fault in Our Stars), Asa Butterfield (Hugo, Ender's Game), Timothee Chalamet (Interstellar), Liam James (The Way, Way Back) And Tom Holland (The Impossible). They all range in the age of eighteen to twenty, so they're in the right age bracket, and they certainly all have the Parker look. This line of casting does follow Marvel Studios trend of coming out of left field (it may be coming from Sony, but you can guarantee Marvel are having a hand in this) when it comes to actors, and a few of them have really shown an instant likability that would fit Peter down to the ground, James and Wolff especially. No doubt we'll be hearing a lot about Spider-Man in the coming weeks and months, so we'll see if this short list holds up. Spider-Man will appear in Captain America: Civil War, out May 6th 2016, before getting his own solo movie on July 28th 2017. The Movie Bit: Is This The Shortlist Of Actors To Play Spider-Man?